1. 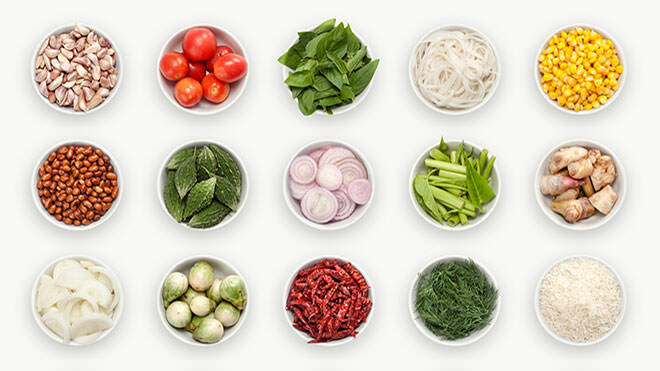 Grind together the chilli, lemongrass, garlic, peanuts, shrimp paste and basil leaves in a pestle and mortar. 2. Pour in 2 tablespoons of olive oil and the lime juice. Leave to infuse for 15 minutes. 3. Preheat the oven to 200C/gas 6. 4. Heat the remaining olive oil in a frying pan. Cook the shallots on a high heat until they are brown and crisp - about 5 minutes. Spoon them out and leave to drain on kitchen roll. 5. Season the beef with salt and freshly ground black pepper. Sear both sides of the beef in the hot oil. 6. Transfer the pan to the oven and cook for a further 5 minutes - adjust the cooking time if you prefer a rare or well done steak. 7. Slice the vegetables into thin sticks and toss together with the dressing in a large mixing bowl. 8. Remove the beef from the oven, slice it and add to the salad. 9. To serve, divide the salad between two bowls. Sprinkle the shallots over as garnish.